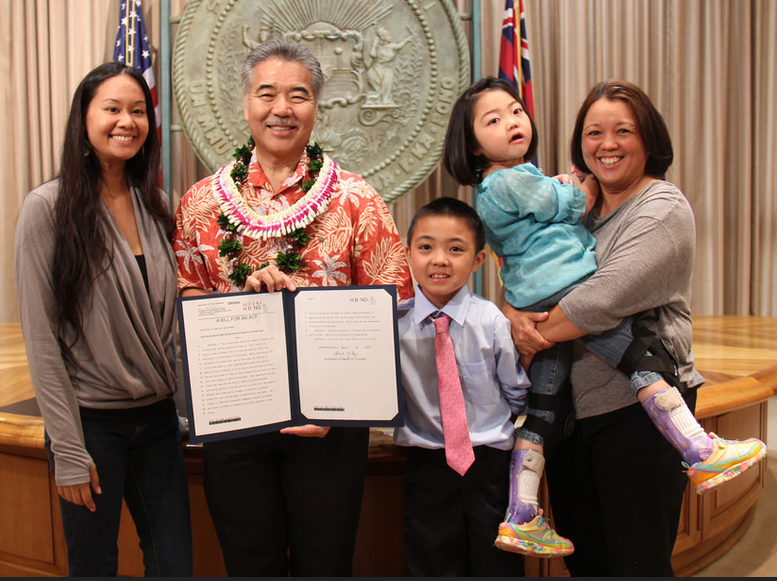 Honolulu, Hawai‘i: HB 321 was signed into law by Governor Ige as Act 241 on July 14th, 2015. Act 241 establishes a framework for medical marijuana dispensaries in Hawaiʻi. The Department of Health will establish administrative rules and procedures governing the program, with the first dispensaries set to open as soon as 7/15/16. A “frequently asked questions” guide to SB 321 (now Act 241) can be found at the Medical Cannabis Coalition of Hawaii (“MCCHI”) website: www.mcchi.org. MCCHI and Drug Policy Action Group Executive Director Carl Bergquist said: “In developing Act 241, lawmakers conducted a rigorous review of the 15 year-old program, seeking reports from the State auditor, studying recommendations from the Dispensary Task Force, and hearing direct input from the public. 88% of Hawai‘i voters support safe, legal access to medication for Hawaiiʻs registered patients statewide, and now, thanks to this diligent effort, the Legislature has listened. MCCHI co-founders, the Drug Policy Forum of Hawai‘i and the American Civil Liberties Union of Hawai‘i both had seats on the Dispensary Task Force. Convened in January 2014 at the request of the Legislature by the University of Hawai’i Public Policy Center, it was comprised of advocates alongside local professionals from health, law enforcement, and government sectors. The Task Force considered all aspects of a dispensary program, including the number of licenses, location of dispensaries, public safety, laboratory screening, education, and taxation. The Task Force also reached out to other states about dispensary best practices, and made its formal recommendations, largely adopted for Act 241, in December, 2014. The Medical Cannabis Coalition of Hawai‘i (“MCCHI”) is a confidential, local support group and advocate for patients, caregivers and doctors involved with Hawaiiʻs medical marijuana program. The MCCHI works to improve public policy on medical marijuana and provides education to patients, caregivers, physicians, and the general public. Follow the latest news at www.mcchi.org. The Drug Policy Action Group, a non-profit organization founded in 2004, is a sister organization to the 20 year old Drug Policy Forum of Hawai‘i. Its mission is to advocate for effective, non-punitive drug policies that minimize economic, social and human costs and to encourage pragmatic approaches based on science and concern for human dignity. The American Civil Liberties Union of Hawai‘i has been the state’s guardian of liberty since 1965, working daily in the courts, legislatures and communities to defend and preserve the individual rights and liberties equally guaranteed to all by the Constitutions and laws of the United States and Hawai‘i. Non-profit, non-partisan, accepts no government funding.